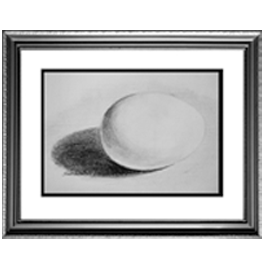 An egg can look like a very simple project, and yet it is not as easy as it would seem. In this project the students will become aware of the light source, bounce light and reflected light. They will have an opportunity to understand shadows and cast shadows that are all important when creating something that looks round. This introduction to light and shadow will be a foundation for building other projects.